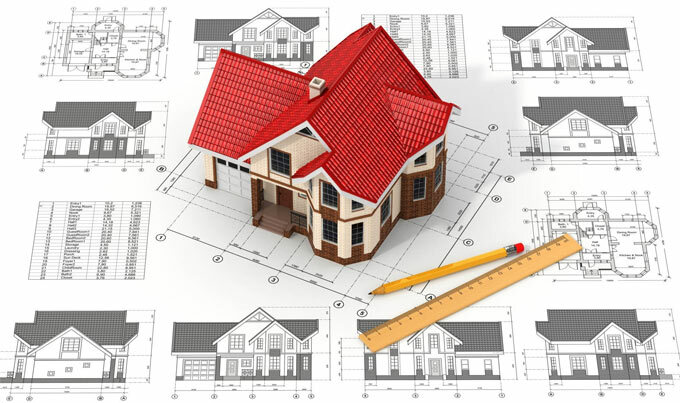 While making designing and constructing buildings, one can employ various types of drawings. Given below, the details of some most recognized types of drawings. As-built drawings and record drawings: On building projects, it is essential to make any modification throughout construction process owning to certain situations on job site. Consequently, it is necessary to generate as-built drawings either throughout the construction process or when construction is finished to show what has been developed in reality. The contractor will usually mark up alterations to the ‘final construction issue’ drawings on-site with red ink, and these can then be utilized by the consultant team to generate record drawings demonstrating the completed project. Assembly drawings: Assembly drawings are employed to show items that comprises of in excess of one component. They show how the components are accommodated jointly and may contain orthogonal plans, sections and elevations, or three-dimensional views, demonstrating the assembled components, or an exploded view demonstrating the relationship among the components and how they are accommodated together. Component drawings: Normally, components are ‘self-contained’ and provided from a single supplier, normally the complete unit arranged by that supplier instead of its component parts. Component drawings supply detailed information concerning the individual units. They are drawn at large scales like 1:10, 1:5, 1:2, 1:1, and so on. They may also contain different types of information like component dimensions, construction, tolerances, and lots other. Concept drawings/sketches: Concept drawings or sketches are freehand drawings which can be applied as a quick and simple way of determining preliminary ideas for designs. They are not considered to become perfect or definitive, simply a way of examining and communicating design principles and aesthetic concepts. Construction drawings/working drawings: Working drawings or construction drawings are used to show dimensioned, graphical information for a contractor to build up the works, or by suppliers to produce components of the works or to erect or install components. These types of drawings develop a portion of the product information along with specifications and bills of quantities or schedules of work, that is created by designers and delivered to the construction team to simplify the process for making a project.